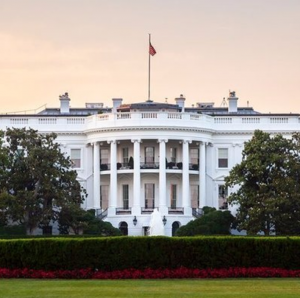 The President’s Infrastructure Plan: How Will it Impact the American Workforce? One of President Trump’s key campaign promises of 2016 was an infrastructure revitalization plan. In his first State of the Union address, he called on Congress to generate $1.5 trillion to invest into our infrastructure. How could this affect the job market? A number of industries and millions of job seekers could potentially benefit from the proposed plan. Despite the fact that important details are still missing, how can employers prepare for the possibility of the plan being implemented over the next ten years? Which industries might benefit from the infrastructure plan? The collection would have an effect on a broader set of industries. That includes construction, steel, concrete, heavy equipment, piping, cabling, mining and petroleum production, electronics, software, ports, airports (including security and air traffic control), and shipbuilding. Jobs would include blue-collar, engineering and technical, managerial, and support. On the surface, the potential impact would seem significant. However, there is significant uncertainty about how the plan might work or where the investments would ultimately go. The administration’s budget blueprint shows a shift in planned infrastructure spending from previously developed regional programs to projects that would have a more national emphasis, which could require companies to change strategies, focus, and even geographic emphasis. Also at question is how funding would flow. Much of the financing would be private and depend on a tax credit structure to provide incentives in a way that would minimize actual cash investment by the government. Projects will be more driven by markets than government and, as a result, will be less predictable. Such uncertainty would, therefore, affect the workforce strategies of companies in affected industries. Finally, America faces a severe deficit in the number of skilled trade workers available to do the jobs. Skilled trade positions are disproportionately occupied by baby boomers (more than five million in 2016) who are expected to retire over the next ten years. This means an estimated 31 million positions will be open by 2020. Unless our country undergoes a fundamental cultural shift in the perception and myths surrounding trade work, there is no way that there will be a sufficient workforce to actually carry out the millions of jobs promised by the infrastructure plan. Our Vice President of Operations, Angie College recently dispelled 3 Common Misconceptions About Apprenticeships. How should companies prepare? With a flexible staffing strategy. Companies can use temporary staffing services to add personnel as needed. Staffing companies can provide access to experienced and trained workers in many fields, allowing the start of a project while management expands the in-house workforce and then transitions between the two. Companies can also use a temp-to-hire approach as a way to retain the most productive workers placed by the staffing company. A staffing company can provide a long-term staffing solution and maintain an employment relationship on behalf of the business, reducing compliance costs. Rather than staffing in advance, companies can partner with a staffing company to maintain pipelines of qualified, pre-screened candidates. The staffing partner can aid in the hiring process, augment the HR department when needed, provide direct placement services, or act as the employer of record to reduce compliance and legal complications. 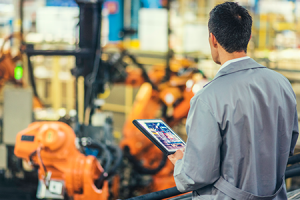 With the right combination of strategy and partners, a company can explore opportunities under infrastructure expansion while getting smart control over staffing as part of critical planning.